The Disney Point Top 9 Disney Characters | What's the Point? 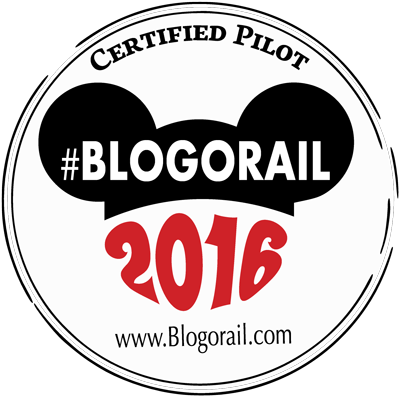 I am extremely late with this post, but I am back from my first anniversary vacation and I am ready once again to join the Destination Disney blog hop over at Heidi’s Reviews and Reflections! This past week Heidi and her friends discussed their top 9 favorite Disney characters! Yes, she is sassy. Yes, she is a bit of a spoiled brat. But she also knows what she wants and she goes for it. 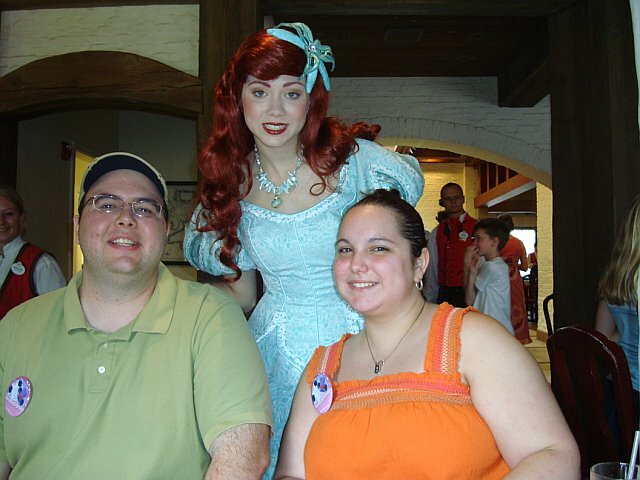 In the theme parks, Ariel is a bit of a hard character to meet. Ariel before or after transformation? I personally loved meeting Ariel at Askerhaus in Norway. She spent a lot of time with us and even helped us film a video for a family friend! 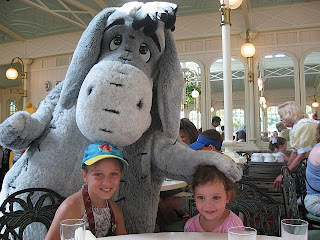 My cousins Mary & Anna with Eeyore at the Crystal Palace, Magic Kingdom. As a young girl I always had a crush on the Aladdin face character. I think when the movie came out I was just starting to notice boys. I also met Scott Wengler – who voiced Aladdin – in MGM Studios that year. Scott played DJ Tanner’s boyfriend on Full House and I always wanted to be DJ Tanner! But I digress. 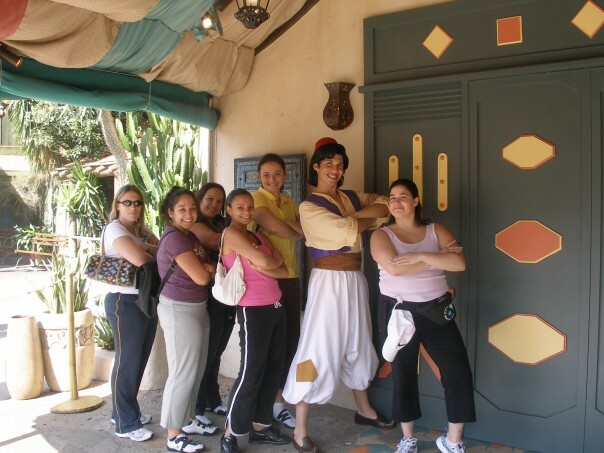 I love meeting Aladdin in Adventureland. He is always willing to pose with the ladies and he is a ton of fun to meet! Oh Goofy! Who doesn’t love a good natured laugh at Goofy’s expense? Goofy is always so much fun at Disney Parks. 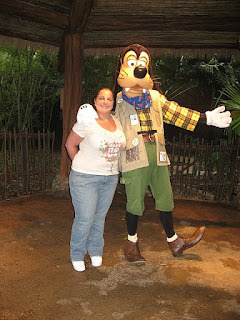 One particular night, while dining at the Liberty Tree Tavern (before they took the character meal away) with a few girl friends, Goofy took me by the hand into the center of the restaurant and proposed to me. Why me? I have no idea! But he certainly did make me blush! I love Jiminy and his message. “Always let your conscience be your guide,” is one of my favorite lines and I try to live my life by that motto! Because Pinocchio is an older movie, Jiminy Cricket is one of the harder characters to find in Disney Parks. 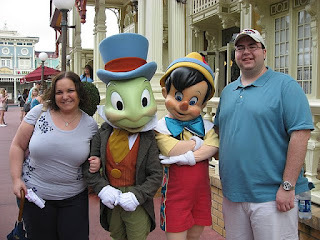 However, Jiminy often can be found on Main Street by Tony’s Town Square restaurant and at Rafiki’s Planet Watch in Disney’s Animal Kingdom park. On one particularly rainy day, I brought my Disney golf umbrella to the park. Jiminy, who travels via flying umbrella, was very excited to see this and started playing with it. It’s the little things that mean so much! Who doesn’t love a duck with an attitude? 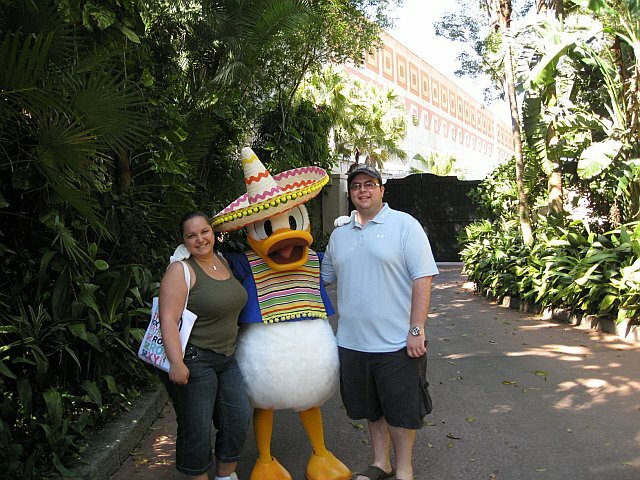 For some reason Donald is hard to find at Walt Disney World. 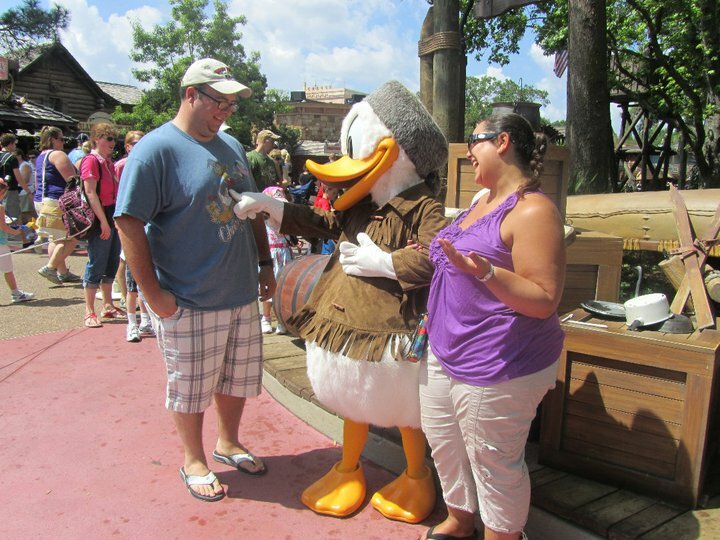 However, of late he has been appearing in Frontierland and that’s where my husband and I found him on our honeymoon. This meet and greet was particularly notable. Donald is my husband’s favorite character and on this day he was wearing his Donald Duck “Chicks dig me” tee shirt. When we got up to the front of the line Donald freaked out! He took him by his hand and walked him up and down the line, pointing out his tee shirt to everyone waiting in line. He took some kid’s hat and Mickey Mouse pen and threw it to the ground. Then when we were done, he kept waving to my husband from across the street! It was so funny and so memorable! This post ends with a mouse. The BIG cheese. The leader of the club that’s made for you and me. 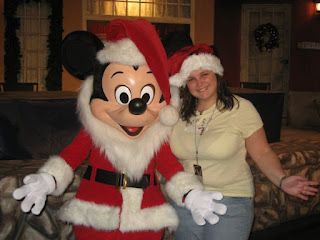 I have always said that you never get too old to meet (or get excited to meet) Mickey. Personally, because Walt Disney put so much of himself in the character Mickey, meeting Mickey is like meeting Walt. There is something so jovial and happy about Mickey that you cannot help but smile. 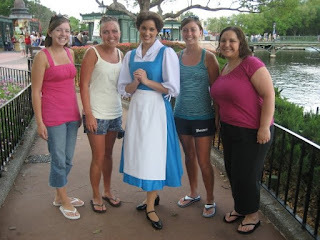 A few years ago while I was working at Disney World a family friend (an adult) came to visit. 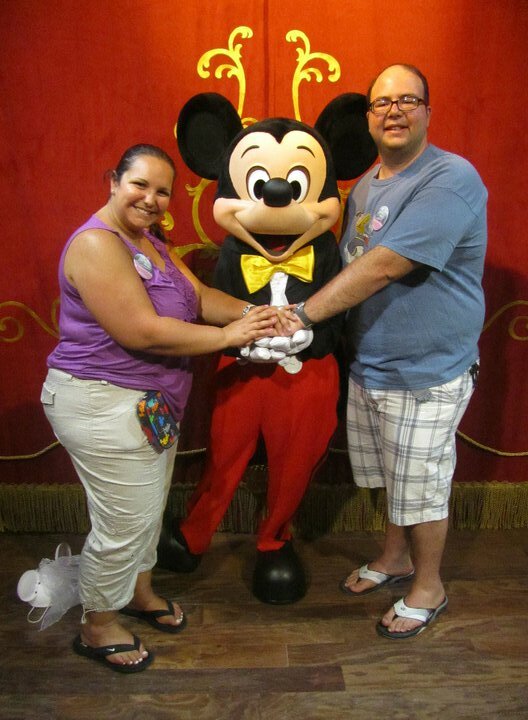 He said to me that he could sit at the Epcot Character Spot all day just to see the kids who are meeting Mickey for the first time. I agree with that. I can watch the awe-inspired faces all day long! 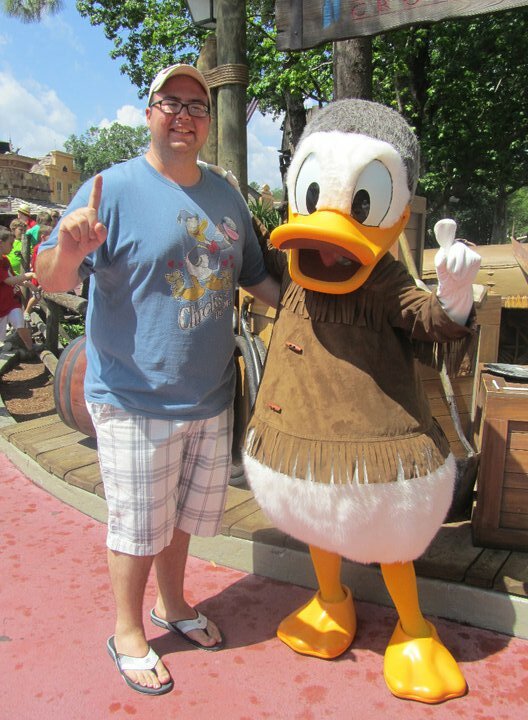 One of my favorite things about Mickey is that he has a HUGE wardrobe! 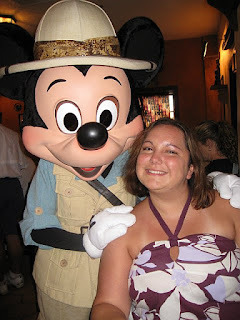 I love seeing all of Mickey’s different outfits – it’s like the Disney version of the Academy Awards! Who are you wearing today, Mickey? Here are some of favorite Mickey shots! Thanks again for your patience with this post. 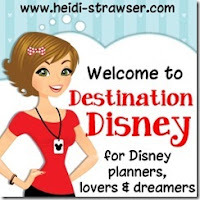 Looking forward to Thursday and another edition of Destination Disney! What a great character list! 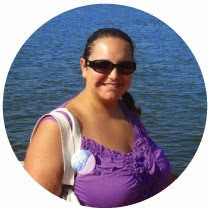 Thanks for linking up and welcome back! 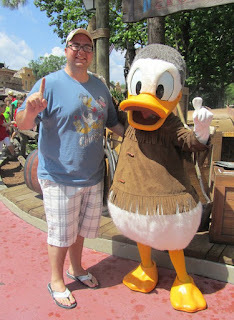 Love Donald too! And, you have Mulan on your list. My girls love her! So glad to hear that, Melissa! She is a good role model for young girls! Thanks Heidi for stopping by and for the inspiration!